First days can be rough. Adults can become anxiety-ridden when trying something for the first time, even when they possess the sagacity that tells them “don’t panic”. Children on the other hand are still developing this wisdom and can feel trepidation about their first day at school. Sensing this, parents can also become filled with worry for their children as they struggle with the reality of having their child leave home for what might be the first time ever, even if just for a few hours. For all of these reasons, it is important that parents not only prepare their children, but prepare themselves for the inevitable rite of passage of a child’s first day at school. Rae Lang, Deputy Head of International School Saigon Pearl (ISSP), which is the only early years and elementary school in Vietnam that is fully accredited by both CIS & NEASC, has outlined a course of action that parents can take to best prepare their young ones for this transition, with tips for preparing children for their learning journey. 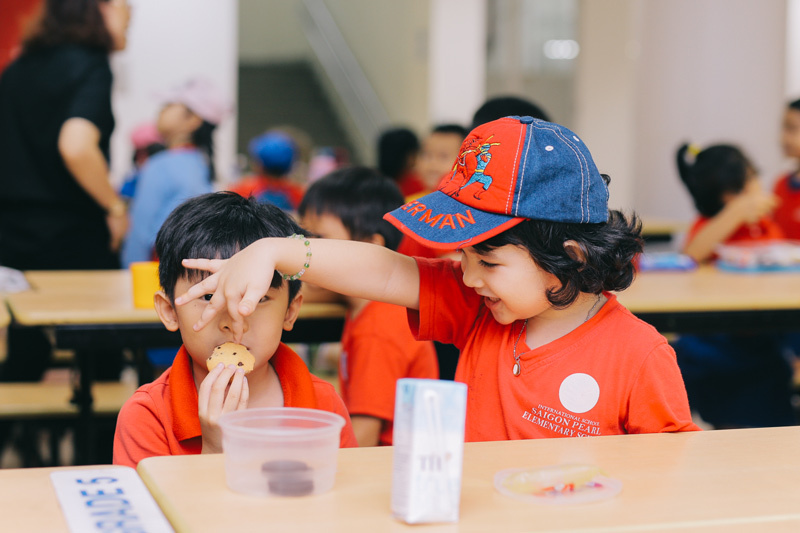 Often, parents’ concerns about their children starting school have more to do with bigger picture matters, such as the school’s curriculum, the teachers’ qualifications, the safety of their children or simply their child’s happiness and ability to adapt. While these questions and concerns are important, parents also need to consider other key matters. Children’s education begins from the time they are born. Parents are a child’s first teachers. The way children think and feel about school will be influenced by the actions and experiences parents provide during their early upbringing. It is for this reason that parents need to take on a positive and enthusiastic attitude about the transition from a child being reared at home to entering into the school system. Parents can focus on talking positively to their children about their experiences at school. Seeing the positive attitudes of their friends, older siblings, and other relatives who attend school have a clear advantage in that they can have the kinds of encouraging these conversations. Books can help to quell children’s anxiety about school. Reading books about the first day at school is a great way to help reduce the anxiety as well as to help your child understand it is okay to feel this way. It also opens the door to discussions about how your child may be feeling so that parents can reassure their child. Having your child attend Early Years education is one way to support your child’s learning journey. 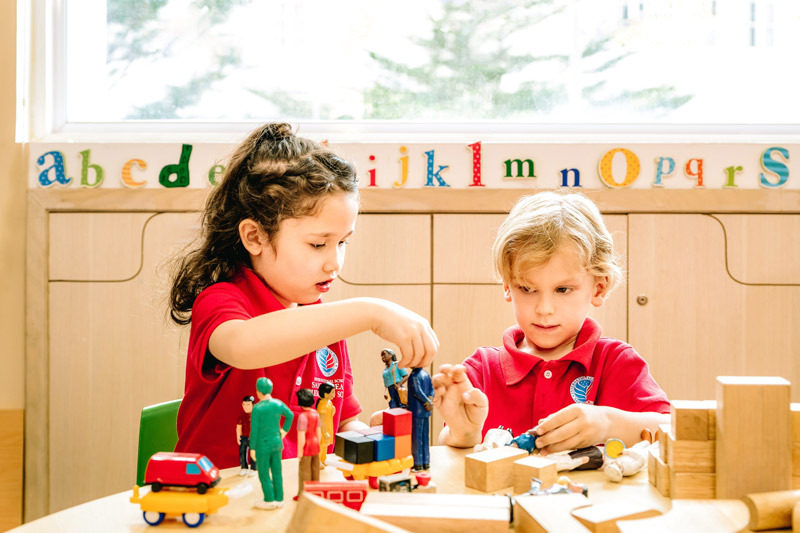 Look for a school that focuses on physical, social and emotional developmental milestones, and provides opportunities for your child to engage with others. These developmental milestones will support them in kindergarten as well as their future educational journey. 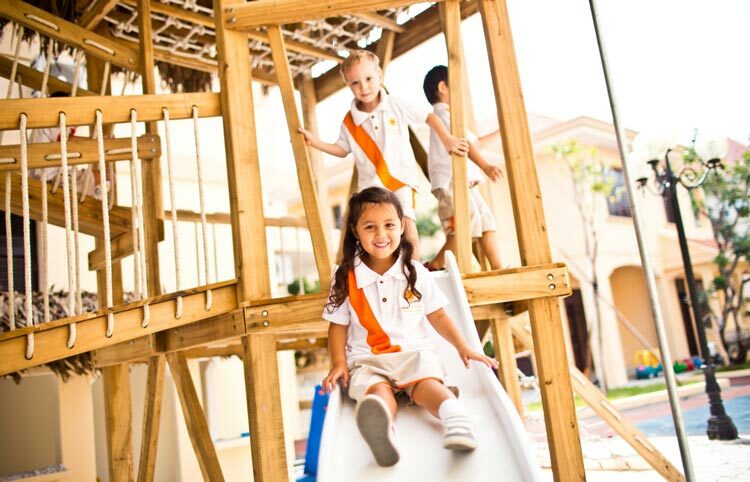 “Children who are exposed to an engaging environment where there are plenty of opportunities for social activities, rich oral language, time for exploration and interactive experiences such as taking visits to parks, outdoor playgrounds or zoos, will be ready for kindergarten. This may be in the home environment or an Early Years schooling environment”, Lang advised. Parents can also take actions at home to build the kind of attitudes in their children that will make them successful, life-long learners. At home, parents can encourage independence and responsibility by allowing the child to eat by themselves, dress themselves, pack their own bag, make their own bed, or be responsible for tidying up their room. These actions are key to not only building a child’s sense of order, but are also integral to developing children’s overall character. Lang said, “At ISSP, a child is given many opportunities to build their character. Opportunities are infused into the curriculum to develop the soft skills of friendship, perseverance, resilience, leadership, responsibility and cooperation”. Children’s apprehension about their first day at school should not be downplayed. Rather, it is important to validate children’s unease. Children should be encouraged not to ignore these feelings but to explore them. Parents who avoid talking about their child’s first day of school can do more harm than good. The old geometry rule says, “The quickest way between points is a straight line”. Kids must be taught at an early age that many experiences that seem frightening at first are also doorways to future victories when faced fearlessly and with a sense of purpose. For a child, whose entire life had been spent under the watchful eye and supervision of its parents, the first day can be accompanied by feelings of uncertainty, and most of all insecurity. Lang said, “The best way to prepare your child is to reassure them and talk to them about what the first day may be like. Reassure them that you will be there to pick them up when the school day is over, even go to the school prior to the start day and show them where you will wait for them”. Children's’ minds can be put at ease by letting them know ahead of time what their schedule will be like at school. Give them a timeline and tell them when their school day will begin and end. You can also bring your child to the school ahead of time before his or her classes actually start and introduce them to the teacher. Bestow your child with the understanding that they’re not being abandoned, they’re just off on their own solo adventure! The first of many! The decompression process after a child’s first day at school is an important one, and has much to do with their attitude about returning in the days following. Lang said, “When your child arrives home ask them how their day went. ‘What was something funny that happened at school?’ ‘Was there something you found difficult to learn, and how can we make it easier for you to understand it?’” From these questions, you will be able to fathom how your child is feeling about school. Be aware of any signs that will let you know if your child is having troubles at school. Lang said, “All children are different and express themselves differently. As a parent you know your child and will be able to notice anything unusual, or slightly out of character. 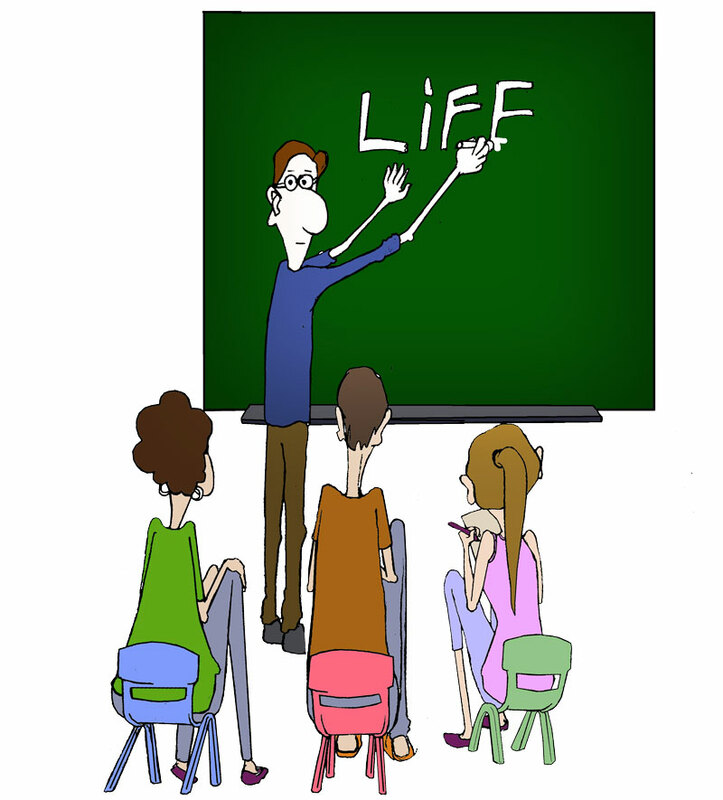 It is important to keep an open line of communication with your teacher”. What do Vietnamese kids actually learn in public schools here? Former educator Frank Fox provides a glimpse into the local system. 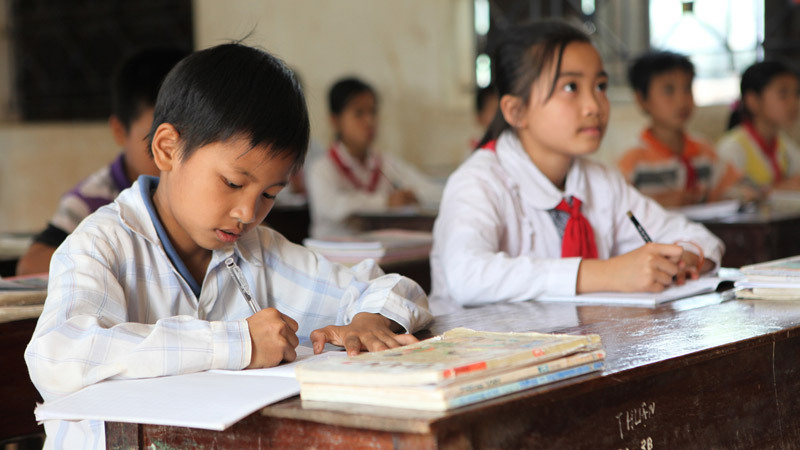 The school system in Vietnam rests on one major foundation: learning by heart. While beneficial in fields like mathematics and geometry, it suffocates creativity in other subjects. Don’t get me wrong, there is creativity going on in Vietnam. There are people with the ability to react fast, find independent solutions and do as good a job as everybody else in the world. But it is not the native education system that hauls in the credit in these cases, only individual effort and determination. Fortunately these essential traits are commonly found in Vietnamese people. Let’s have a look a look at each level in the Vietnamese education system. Kindergarten is not yet dominated by learning, it’s rather a nursery with opportunities to play and learn the rules of social interaction. Yes friends, to ensure that your child is treated well at the kindergarten, a monthly gift, nicely wrapped in an envelope, is more than welcome in both public and private institutions. 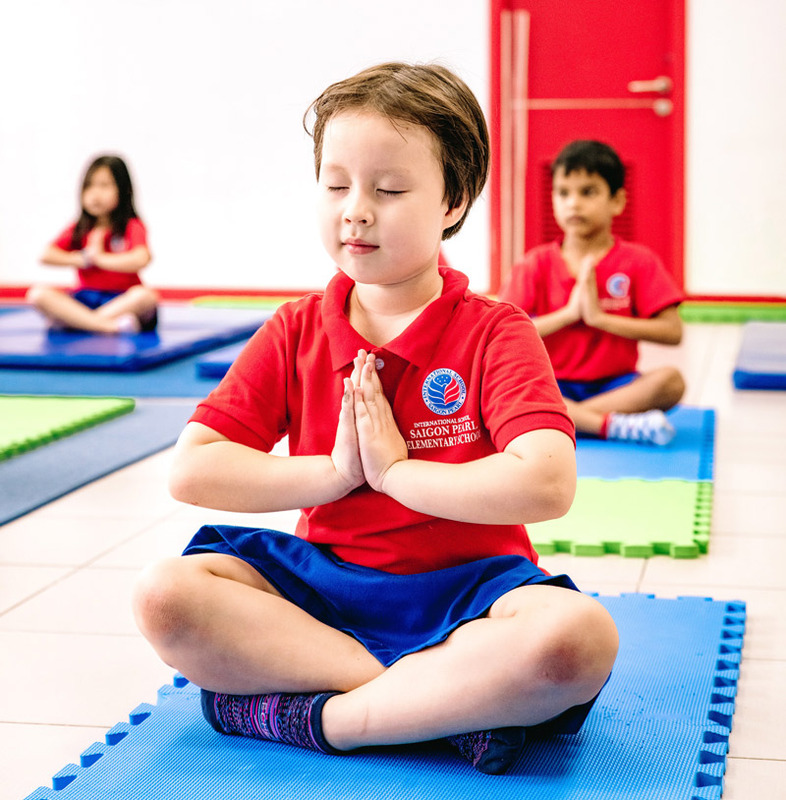 Once in primary school, our children face a curriculum that consists of the following basic subjects: Mathematics, English, Reading and Writing, Sports, Crafting, Painting, Music and Morals and Etiquette. Looks pretty neat, doesn’t it? If you replace the moral and etiquette subject with basic science, it looks like our own curriculum back home. The difference is, that the children here learn by heart what can be learned by heart. In music you learn the notes and repeat meticulously what’s in the book. Even if learning by heart already kicks in, it’s still primary school, so the pressure is not yet in full effect. If somebody in Europe told you that he had to learn the periodic table by heart, you would either roll on the floor laughing or buy him a pint out of pity. Well, prepare to dish out many pints in Vietnam. This is the same as everywhere else in the universe. I actually can’t imagine any other way to learn math than learning the rules first and then start applying them and playing with numbers. This was one of my favorite subjects in secondary school. In Vietnam you basically learn about Vietnamese authors, preferably those from the army. You read articles, discuss the morale of the story and the writing style of the author. After that you learn his biography by heart. My question whether there is freestyle writing at tests was answered with a straight “No”. Learning about art in Vietnam is quite similar to learning about arts in Europe, however stricter. Topics are given and the students have to follow them. This subject a creative highlight in a very Vietnamese way: Take a song and replace the lyrics with your own. The cooler teachers let the students sing for the test. Grammar is taught, as well as reading and communication. The education in terms of grammar is pretty good and nobody can deny that. The main problem here is that many Vietnamese English teachers deliver a strong accent in the first place, and copying them doesn’t make it better. If students find the time to watch English movies in their spare time, they can develop pretty good skills. But that brings us back to the point of personal determination. This subject is taught without exploding oxyhydrogen gas, there is no mixing of sugar with sulphuric acid and no lithium tossed into a bowl of water. But as I mentioned above, these activities are substituted by learning by heart the periodic table of elements. Quite similar to chemistry in terms of the absence of practical experiments and the presence of more formulae to learn at school. The science of life another topic. Apparently there an array of interesting experiments is conducted in Vietnamese secondary school that we didn’t do, even at high school. Okay, here as well as in other subjects learning by heart is an integral part of the system. But they practice microscopy, anatomy and even dissecting a live frog. Vivisection is, however, not a practice to recommend for the sake of compassion. But, they usually don’t have a real skeleton in the cabinet, like we did. This subject shows it’s worst face. Out of roughly 100 Vietnamese students I asked on occasion if they like history, how many answered with “Yes”, do you think? Exactly zero. History in Vietnam comes with a general introduction to the king generation of Vietnam, skipping scientists and foreign countries. There is no cultural education about the past. But what do they actually learn in history? Well, on average, 12 A4 pages per week about how many helicopters were destroyed in this battle, how many soldiers died in that battle and what are the relatives of that general, his biography… is crammed into the short-term memory until the next test. When I asked roughly 45 students why there is a day off on the 2nd of September, only two knew what was going on and one of them finally came up with the answer “independence day”. A subject that gives an overview over the continents and introduces personalities like Columbus. The rest is focused on climate and agriculture, such as soil types, coffee production and weather. In a society that derives the lion’s share of its identity from farming and fishery, this is actually an important part of education. Physical Education is pretty much the same as it is back in good ol’ Europe and North America. In secondary school students are expected, as in most other systems, to sit a variety of regular tests and exams. These include simple tests, evaluatory exams and entrance exams to further education. Simple tests: There is a 15 minute test every week and a 45 minute test twice a month. It’s basically writing down everything you have crammed into your short-term memory over the last week - under time pressure. Evaluatory exams: There are four main exams during every grade and they are basically the same as at the tests, but obviously a little more significant. High School Entrance Exams: Here students re-cram everything from the last nine months that conveniently vanished from the short-term memory. By heart of course. There are four subjects that get tested during the final exams at secondary school in Vietnam: Mathematics, Literature, English and one practical subject that is chosen every year by the Department of Education. This subject can either be biology, geography or physics. The first two account for 20 points each, the last two for 10 each, which adds up to a maximum of 60 points you can reach. In some special cases, a student can reach more than 60 points though, but that is rare and only for students who had excellent marks during the whole course of secondary school. Every year the headmaster of every high school sets a minimum score every student needs to be accepted at this particular school. Students write down their preferred high school, as well as (usually) two alternative institutes in case they cannot reach the required score to be accepted by their first choice. High school is basically the same as in secondary school, except there is more pressure and more to learn than before. The entrance exam for universities is quite similar too. At home, in Austria, I sometimes cursed the outdated school system we have and the fact that we are required to cram our heads with useless information from outdated books. And taking a look into the Vietnamese education system almost made me exclaim “Tu Felix Austria”! Almost. But at the end of the day, accepting the bad just because you've found worse is not the way to go. 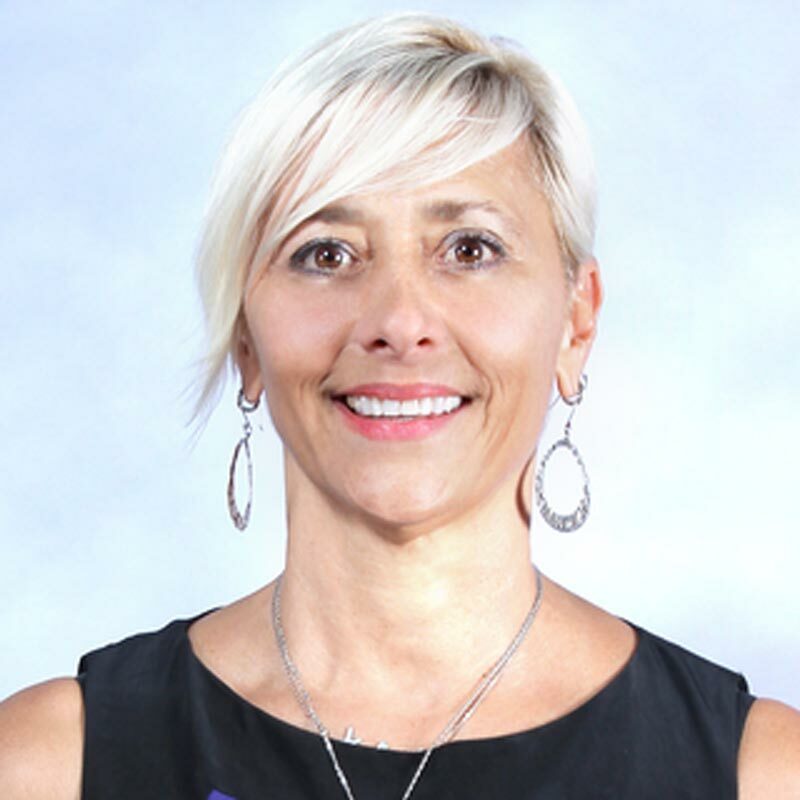 We sat down to interview Michelle Parker, the Guidance and College Counsellor at The American School, on what it means to be a great school counselor. How does a counsellor ensure he/she is sending a child on a path the child will both benefit from and enjoy? They meet one to one and in groups to make assessments to get in touch with who they are. There is never a magic wand or any guarantees; the whole point is that the counsellor works with the children throughout their school career to gain an understanding of the individual's strengths and weaknesses. To what extent should a counsellor advise a student? Is it more motivational and self-help or strictly academic advice? Counsellors are never strict about anything. I cover social, emotional, academic and career choices. This is an holistic approach to education, we allow children to make informed choices about their futures. How do TAS's counsellors determine what subject a student is best at and should pursue? Their subject strengths don’t really matter, I don’t tell them what to do, ever. It’s just a case of opening up their horizons and getting them to recognise the options open to them. For example if a child wants to be a vet, I would look at their science grades. If they are failing badly then it is not a good match. If however they are adamant that this is the path they want, then it can be an opportunity to improve their science grades. That is to say, if they really want it, then they would have to buckle down to succeed in these core subjects. Is a counsellor in some ways a child psychologist? It runs parallel to it. In the US you have to have a degree in psychology and a masters in school counselling. It is a specialisation within the broader subject. Do parents who meet the counsellor have a say in what the counsellor tells the student? Parents don’t have any say in what the school counsellor does. Of course we meet with them to explain what we are doing. However it is a case of us informing them what happens and not parents telling the councillors what to do. Is student counselling a new practice in Vietnam? It’s not new to American schools, but it is new to Vietnamese. The Vietnamese kids which make up 50% of the school take to the role very well. Kids like to talk, to their counsellor. It is rewarding and incredibly exciting to see them open up for the first time. For them it is extremely cathartic, because they know it is completely private and the trust will not be broken, unless of course, they are in danger. How do Vietnamese parents who may have not heard of this practice before, react to it? Asian parents in general seem to take it quite well. They have already made the step of placing the child in an American school, so to a degree they have already taken that leap of faith. How do Vietnamese students react to counselling compared to foreign students? Foreign students are more familiar with it, as it is widely used and accepted in the USA. but Vietnamese children soon get used to bit and when they do the reaction is about the same. How does TAS choose their counsellors? Do they look at his or her background to see if they themselves were a success academically and career-wise? Obviously qualifications matter immensely, then experience. After that it is all individual to each school. They will have an idea of the style that they want and will choose someone for the role for different reasons. Has TAS ever had a bad counsellor? Not so much bad, but in any career field there are going to be cases of a mismatch. You cannot reach every single child, but we really try to get to as many as possible. Counsellors want to help people, they are approachable and open. But sometimes a child will simply not respond to a certain personality, that is just life. Do you think the age of a counsellor has any bearing on their ability to identify with and enable the children to open up? I honestly don’t think age is an issue, it’s all personality. Do counsellors also suggest extracurricular activities for students? Not so much suggest, but I do get involved. I love sports so I have taught tennis and play a lot of sports here. I really enjoy the teachers versus kids volleyball. If a student is conflicted between what they want to do and what their parents want, how does a counsellor guide the student to do "the right thing”? I always tell the child that it’s their life and their future; they must live it. With the guidance of the school we will always put the child’s best interest first. I meet with parents in groups and explain that it is of paramount importance that every child is accepted as an individual. The best thing a parent can do is to support children in their endeavours, no matter what their choices are. What is your bottom line? What do you see as the best that you offer to the school and the children? I see my role as more than simply being for the school and the child. The overall picture is to educate the Vietnamese community about what we offer to the children. It is so important that children get guidance and counselling to enable them to grow and be the absolute best that they can be. Support is the key word here, sometimes it is easy to put too much of one’s own opinions onto a child. Failure is not a bad thing, everyone has to fail. They have to be free to fail. Pick themselves up and say, where do I go from here? 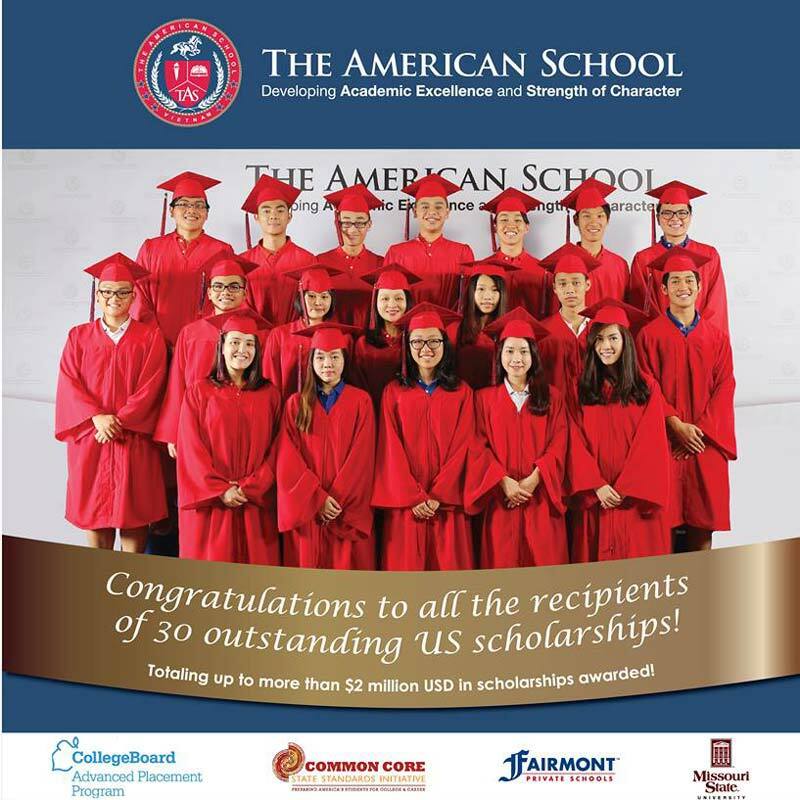 The American School Community Service programme started this year. This is a service where all students who qualify will have to have a number of hours of community service. They simply cannot graduate without it. Such things like collecting clothes and giving them to the poor people in the area. Our children are incredibly lucky and lead privileged lives. It is important that they realise it. Ho Chi Minh City offers superb opportunities for people who decide to make a life here. But what about your kids? 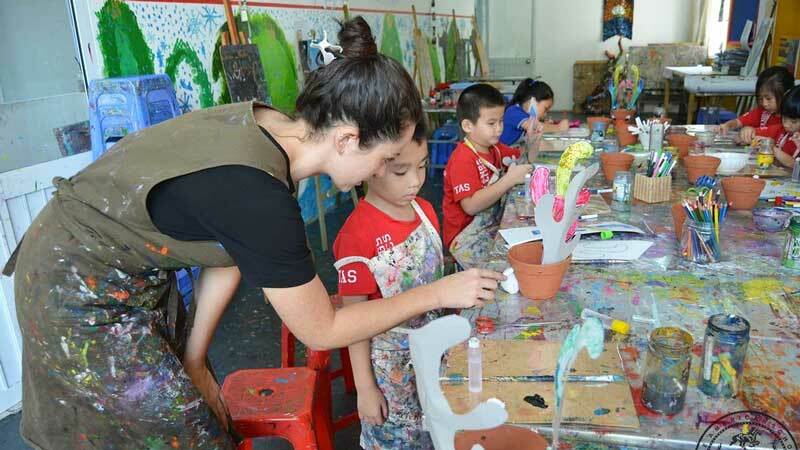 How good is Saigon life for your young ones? Here are a few ideas for activities for your children to enjoy. This activity centre is jam packed with excellent things to occupy young minds for hours. Children participate in and learn about different professions in the adult world. They can earn KizCiti money by taking part in certain activities, then have to spend it on others. It has become popular as a school trip. 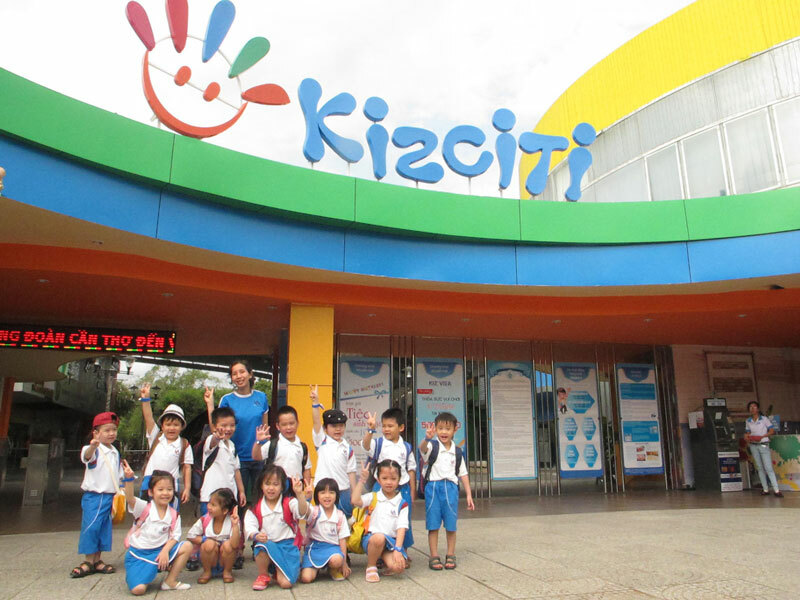 KizCiti has computer systems checking your child’s progress through each profession. It is an imaginative attraction; kids get to be airline pilots, firefighters, chefs, beauticians, paramedics and just kids! It is excellent value, and well worth checking out. There are two sessions daily: 8a.m. until 3:30 p.m., and 4 p.m. until 9:30 p.m.
One of the most popular things for kids to do in the city, the water park makes for a great family day out. It opened in 1999 and has been busy ever since. When the temperatures start to soar in the city, this is just the place to cool off and have fun. 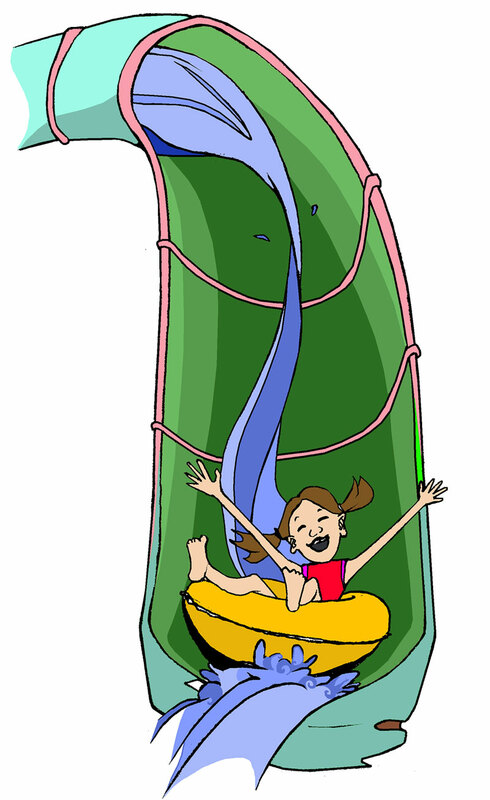 It is worth checking out the rides in advance before throwing your little angels in at the deep end. Some of these rides are really quite scary, waterslides that drop almost vertically and hurl you out at the bottom at quite a speed; zip lines, and all manner of things. If you want to join in, remember that these rides were built for Asian people and hurtling your 100 kgs down a water slide at high speed is likely to result in a few bumps and bruises. But it is great fun for kids of all ages. The great success of Dam Sen Water Park is that it really does cater for all. There are gentle rides for little ones, medium rides for those who are a little more adventurous and really hair raising ones for the adrenaline junkies. Opening Hours: Mon to Fri 7.00 a.m. to 5.00 p.m. Sat to Sun 7.00 a.m. to 6.00 p.m.
Suoi Tien Theme Park was opened in 1995. It’s is a bit of a trek out of town through District 2 and on to District 9, but it is a good place for kids. Eventually the new metro will stop here and it will be more accessible. The park and gardens tell the story of Vietnam’s history and legends, like the battle between the God of the Water and the God of the Mountain, known as the Battle of Thuy Tinh and Son Thinh. It’s a mixture of fun, facts, legends and weird stuff. Dragons and dinosaurs make for confusing bed fellows but it all works out in that strangely unique Vietnamese way. 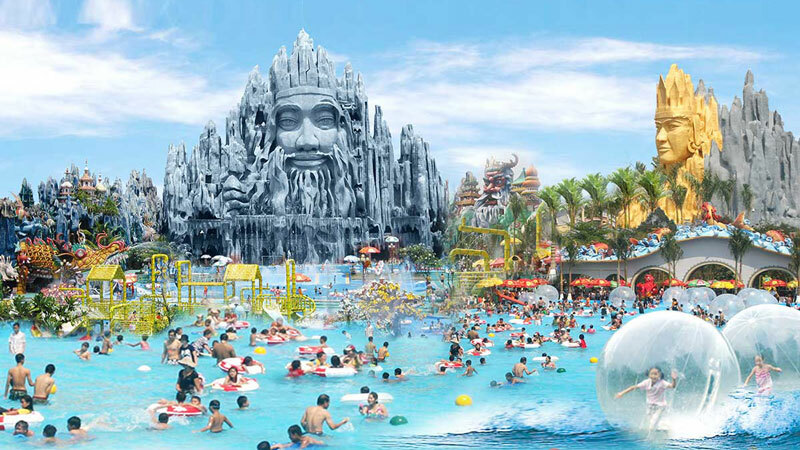 There is also a zoo, a sea water pool for bathing and cooling off when the temperatures soar, and a man-made beach complete with waterfall, on which is cultured the face of an emperor. Opening Hours: Mon to Fri 7.30 a.m. to 10.30 p.m. Sat to Sun 7.30 a.m. to 11.00 p.m. It might seem somewhat strange to include a bar / cafe in a list of great things for kids to do, but Snap Cafe is a lot more than just a cafe. This is one of the best family based places to hang out in the entire city. 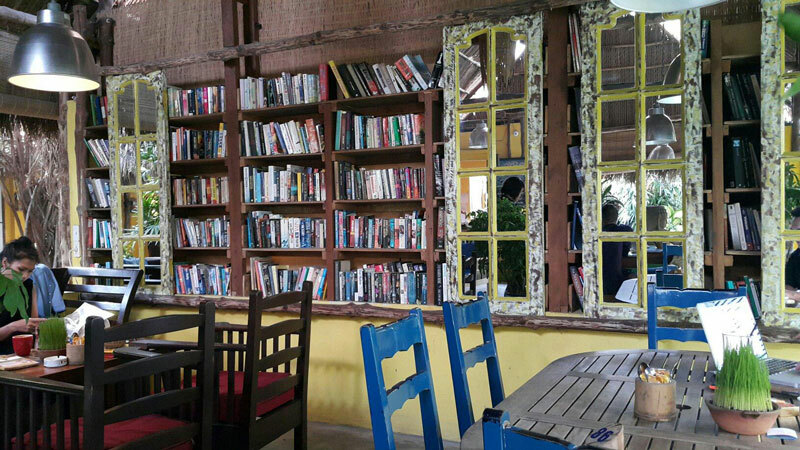 It’s an open air, quirky, bamboo and thatch affair that caters especially for families. At the back is a large sandpit with climbing frames and other fun things to do. The kids will play for hours whilst mum and dad enjoy a couple of beers and some comfy seats. There are a few small shops inside the complex as well, so you can come here, leave the kids playing, look at what’s on offer, and enjoy a game of pool. The kitchen serves up fantastic food as well. What more could you want? The famous Cu Chi Tunnels were where the Viet Cong fighters hid out from the Allied forces in the war. There are hundreds of miles of tunnels running right across the south of the country. You can visit them and see just how grim it must have been for the soldiers back in time. Guests can crawl through the tiny tunnels, the perfect size for kids! 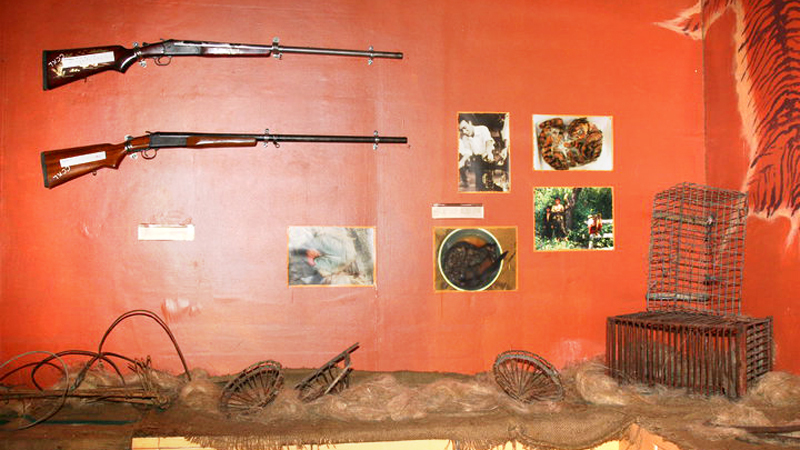 Whilst here drop into the Cu Chi Wildlife Rescue Station. The rangers do tremendous work rescuing animals in peril from all sorts of situations. You may get to see bears, wild cats, gibbons, turtles and many species of birds. These are just a few suggestions among many of the top places to visit with children in Ho Chi Minh City. The first step in choosing a school is to be clear on what you are looking for. Then, visit each school to learn more about their educational philosophy and values, and how they compare to your own. It is important to ask about the school’s accreditation, as well as the experience and credentials of the individual teachers. It is also important to ask about the school’s curriculum. Is it student-centred? Does the school provide special learning support? Are there extension programmes or other opportunities for excellence? A great way to review a school is to take a tour during school hours. Ask to visit classrooms, break times and sports lessons, and pay attention to how engaged and happy the children seem. Are the classrooms bright and welcoming? Are they well equipped? What are the class sizes? What kind of co-curricular activities are students involved in during the school day? How diverse is the student population? Are there sports programmes or clubs in which the students participate after school? Research shows that children whose parents are involved in their education do better than those whose parents aren’t. Therefore, it is important to find a school that encourages parental involvement and welcomes parents on campus. What methods do the teachers use to communicate with parents? Are there parent meetings with administrators? Is there a type of parent association? If possible try to communicate with someone from your home country who attends the school. Take time to look at the school’s website and read some of the school newsletters, parent letters or other publications. Talk to members of the community and see what they think of the school their children are attending. It is also important to be dedicated to finding the best school for your child! 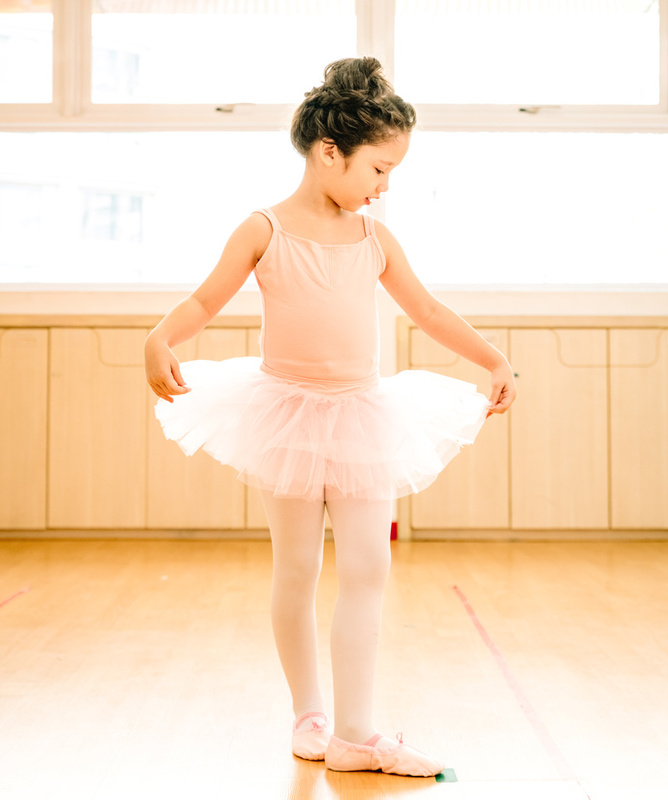 Always consider your child’s unique interests, personality and abilities, and put these as the top priority when choosing where they should learn. What about sending your child to an international school? In order to receive an international education, you must be prepared financially. 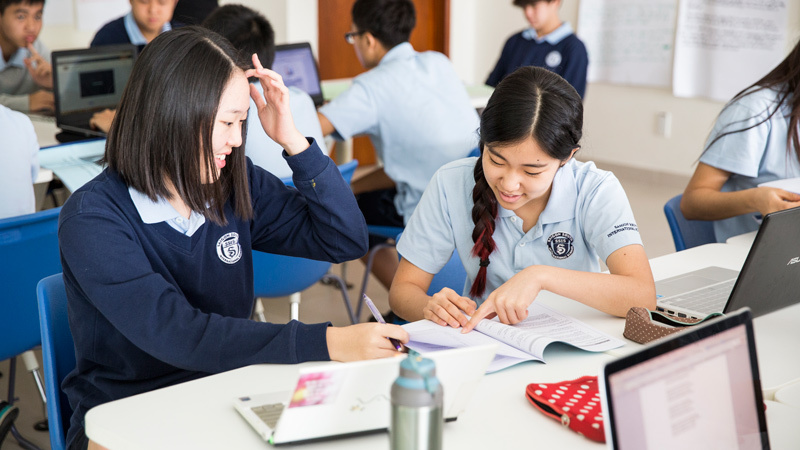 Tuition fees vary greatly, but schools with a more advanced English curriculum range between VND225M and VND450M per year. Discounts may apply to additional children but it’s still a lot of money if you’re not on an expat package that includes schooling - see if your employer is willing to salary-package the fees. In addition to tuition fees, expect to pay extra for enrolment, placement, uniforms, extra-curricular activities, transportation and lunches. Even if you have no qualms about the school’s tuition and fees, there is still no guarantee that the best schools will admit your child. Keep the selection process and long waiting lists in mind when choosing. What if you send your child to a Vietnamese school? If you want your child to experience an authentic Vietnamese education, they can attend a Vietnamese school upon completion of a Vietnamese language test. International students who do not speak Vietnamese may participate in some master programmes available through Vietnamese universities in cooperation with international partners. 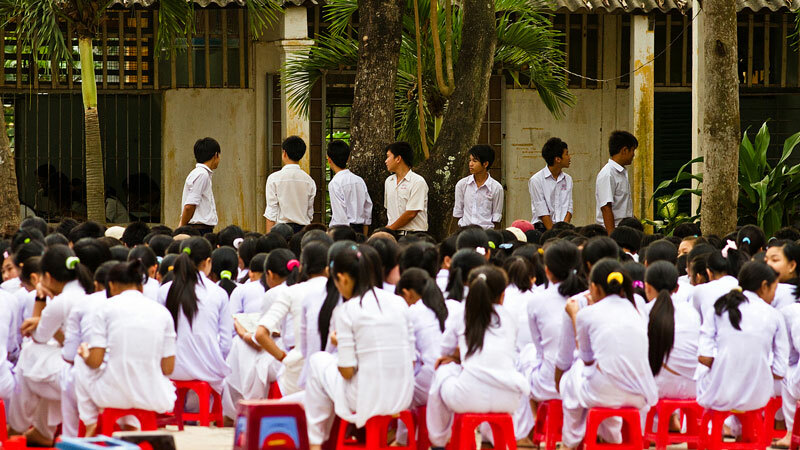 The main advantages of Vietnamese schools are lower fees, a sense of hard work, respect and discipline. However, the lack of student-to-teacher interaction and extracurricular activities is often criticised along with the archaic, teacher-centred learning method that emphasises rote learning and a heavy workload. Given the rising costs of education and the inconvenience of far-away schools, Vietnamese and expatriates alike are looking at home schooling as a possible solution. There is a wealth of information and support available on the internet for either a parent or recruited tutor to help homeschooled children succeed. Australia seems to be the acknowledged leader in the field of home-taught education. What schools should you consider in HCMC? Check out Top 11 International Schools in HCMC or see the list below. 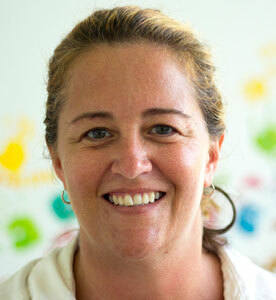 Ellen Thompson is an American who has lived in Ho Chi Minh City for close on 14 years. She came to teach English originally, and liked Vietnam and the people so much that she stayed. Saigon Star International School opened its doors in 2006. Ellen joined two years later as Headteacher. The school is in a particularly lush part of Saigon’s District 2. The location was chosen for its open space, clean air and green environment. An added bonus is the regular encounter with the local wildlife. Not many commuters get a traffic jam caused by a herd of buffalo! 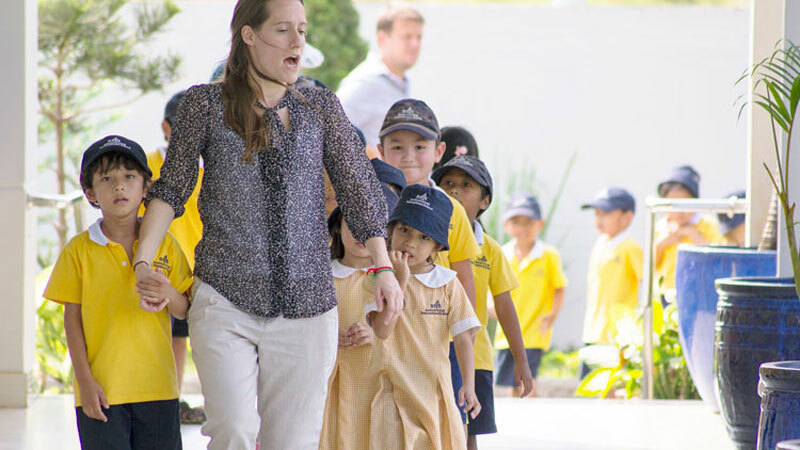 Having studied and worked in several different countries around the globe has given her a broad outlook on life and a keen interest in creating a supportive international school community. I sat down with Ellen to discuss life at an international school for her, her staff and of course, the pupils. What changes have you seen both in education in HCMC and the city in general? As far as Vietnam is concerned, there has been a huge increase in bilingual schools. They often split the days with the Vietnamese curriculum in the mornings and English in the afternoons. The popularity of these schools is due primarily to the Vietnamese wanting to give their children a head start learning English so as to give them more choices for higher education and better job opportunities. Many state schools are also incorporating programmes like the Cambridge curriculum to deliver a more diverse programme. As for changes to the city, it is immense. You can’t miss all the new construction happening around. The skyline and suburbs are almost unrecognisable from when I first arrived. 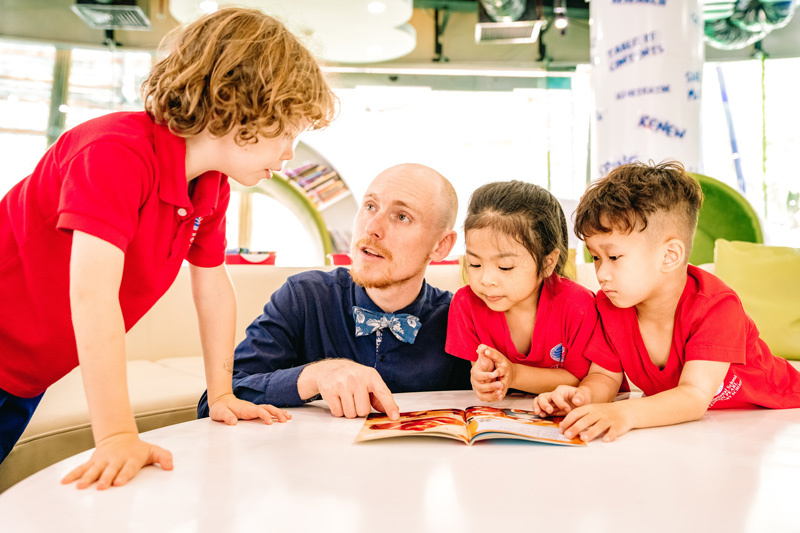 How do you think education at an International School in HCMC compares to schools back home? I think an international school education is equivalent to a private school education back home. 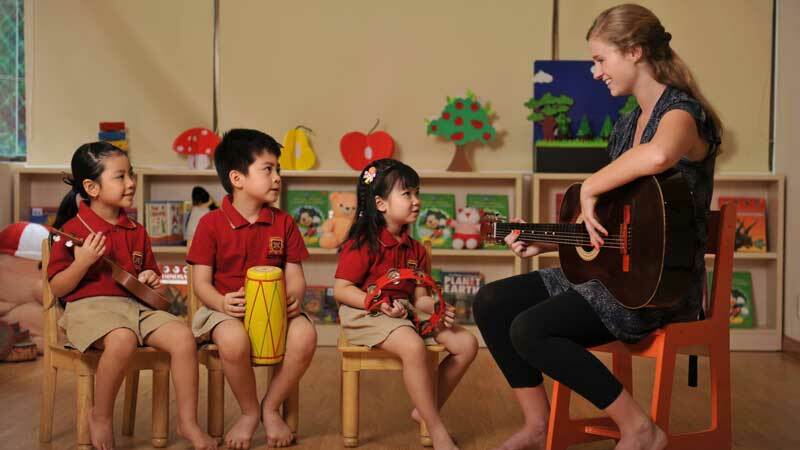 The international schools in HCMC offer a very high standard of instruction and quality facilities. This is, of course, expected when a parent or company is paying such a large annual school fee. From a private school perspective, it certainly holds its own against an equivalent school in America or the UK. The content is the same but the main advantage is the teacher-pupil ratios, which are much better here. Statistically, children that have been with us for more than three years are working well above their contemporaries from their home countries. What are the greatest benefits and negative aspects of expat life for children in HCMC? The greatest benefit, I think, is the huge broadening of a child’s attitude to cultural differences. They are growing up surrounded by different cultures and languages. They get to travel and experience things that many people only dream of. Also, our lifestyles are very different from back home, where most families wouldn’t even be able to consider having a housekeeper, driver or nanny. The main negative is the limited number and range of extracurricular activities for children in the city. Things are improving, but very slowly. Apart from a few sports, music, art and drama programs, there are no community-organised leagues for children, like a YMCA. On a positive note, at least we now have an ice-rink in District 2. How do teachers’ experiences here in HCMC compare to their home countries? One of the reasons teachers often choose to teach internationally is that they feel overworked in their home countries. Since we don’t have the same level of bureaucracy, teachers are able to spend less time doing paperwork and benefit from a much better work-life balance. Furthermore, teachers have much smaller class sizes, which means they feel capable of doing a much better job and making a much bigger difference. Overall, their experience here is overwhelmingly positive and it is very rare for teachers to return to teaching in their home country after working here. When teachers do move on, it is often to another country, for another adventure. 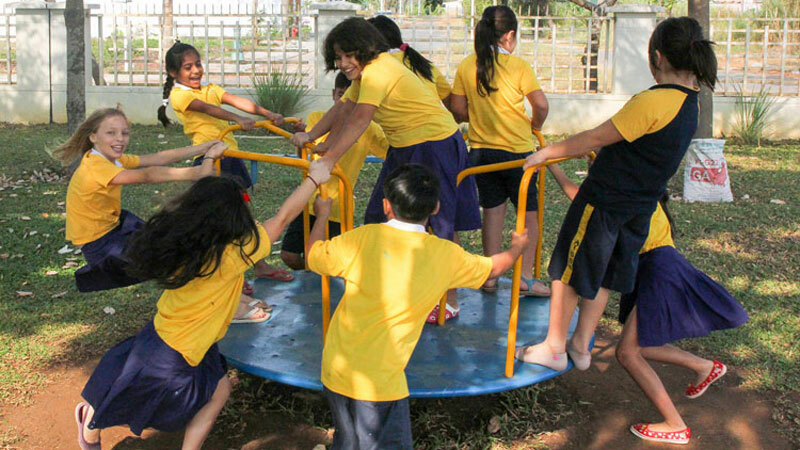 How does an international school education differ from a Vietnamese one? Again, the main difference is the size of the classes. Vietnamese schools generally have classes of up to 40-50 students and the delivery is usually lecture based with little practical work. 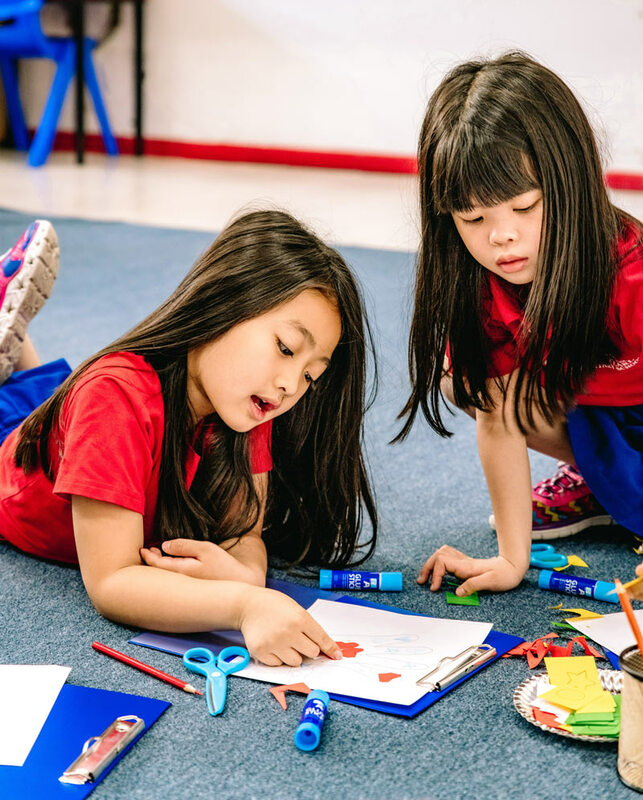 Teaching strategies in international schools are more diverse, taking account of children’s different learning styles and differing levels of ability. There is also greater focus on developing a child’s creativity, with students studying art, music and drama to a far greater degree. I know teachers are impressed by National Teachers’ Day, is this a big thing in Vietnam? Teacher’s Day comes as a nice surprise for our teachers each year who, generally, have never experienced anything like it before. Without a doubt, teachers in this part of the world are respected far more than in the West so it is really nice for our teachers to feel appreciated for all their hard work and dedication. 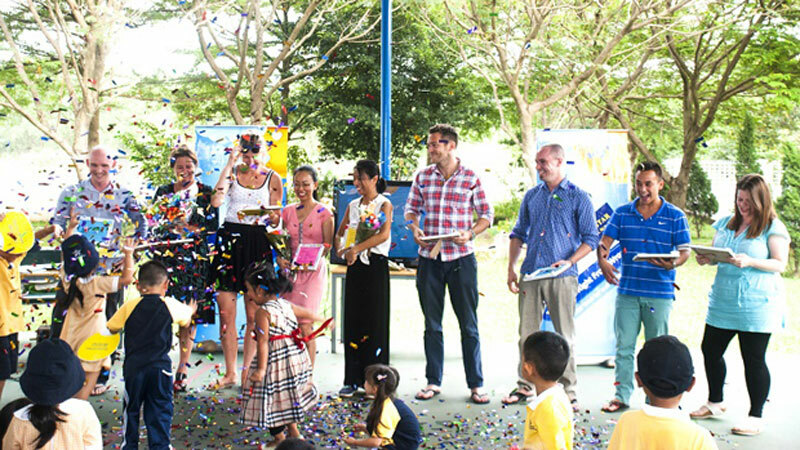 Whilst Teachers’ Day at international schools isn’t celebrated to the same extent as Vietnamese state schools, many teachers do receive flowers and other gifts from children, particularly from our Vietnamese families. I know school costs in HCMC raise eyebrows among some parents. Why is it so expensive? Providing the high-quality facilities and professional, well-qualified, native teachers that parents expect costs a significant amount of money. Having said that, at Saigon Star we do try so hard to keep our costs down in other areas and pass those benefits onto parents, because we understand that education is a huge financial commitment lasting many years. However, in modern society, people often see the most expensive schooling as the best, although that is not always the case. I firmly believe at Saigon Star we deliver the same high-quality education for much less. What is your opinion on so-called unconventional teaching methods? Do you stick to a rigid formula or are you more open to accepting new ideas? There is no correct formula for teaching. 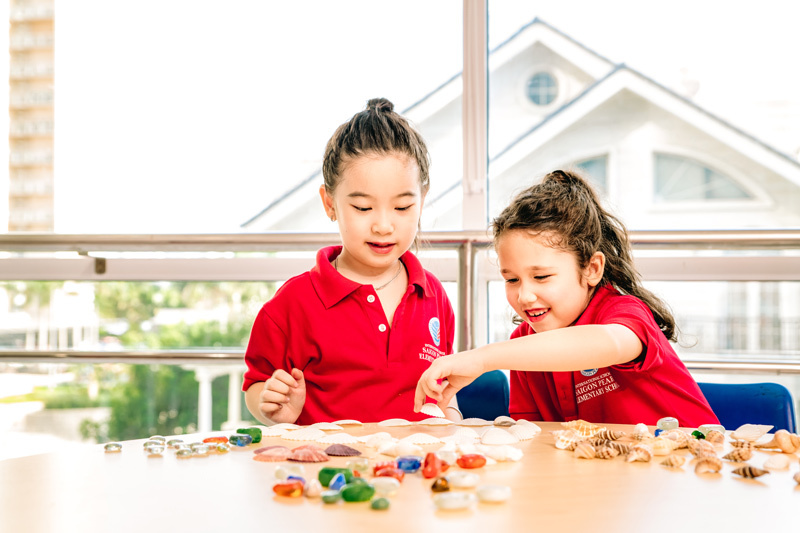 As a school we do try to adopt the best methods that we have seen from around the world, for example, by incorporating Montessori as part of our early years programme, but teaching is more of an art than a science. There are many ways to achieve the desired result, and each teacher will approach it in a different way. Part of building a good team is finding teachers with different personalities and skill sets from which pupils will benefit during their time at school. Rote* learning still has its place when learning knowledge, but knowledge, skills and understanding are all taught, learned and assessed differently and therefore require different approaches. Our teachers know this and plan each lesson depending on what it is that is being taught. What we know about how children learn is changing all the time, which means we also need to ensure we keep up to date and continue to support our teachers with new ideas. Even as educators, we never stop learning. Does having children of different nationalities affect discipline? At Saigon Star behavioural issues are practically non-existent and I’m sure it is the same for other international schools. Our students tend to come from supportive families, which makes a big difference, so it is not really a question of nationality. I’d say as well that children here are not exposed to the same societal problems that we have back in our countries. Having students learn alongside children from other parts of the world actually creates cultural harmony rather than the other way around. *Rote learning is learning through repetition and memory, i.e. multiplication tables.